Another year comes to a close - Vikings! Who's think about 2012 Track? All-NorCal XC Teams: As chosen by a panel of NorCal XC Coaches & Statisticians. All-CCS XC Teams: As chosen by a panel of CCS XC Coaches. All-San Jose Mercury News XC Teams: "Best Of The Fall" as chosen by the Mercury News Sports Editors. Abbey Road web cam: I posted this earlier so you can watch fans "Walk the Walk", but check out the Behind the Scenes photos of Abbey Road cover shoot. Sarah Robinson (Gunn): "Just hitting her stride". 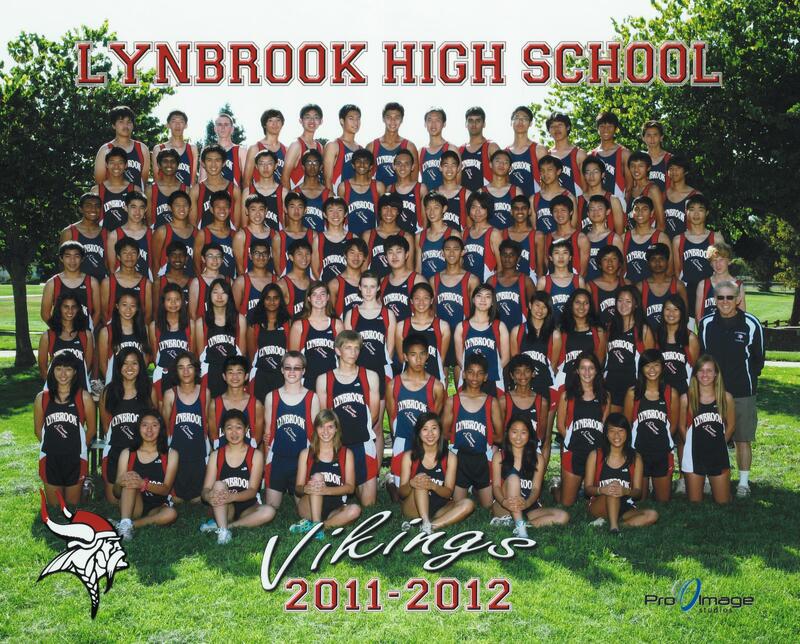 Lynbrook XC - Slideshow: Shown at the End Of Year Party which recaps the season of racin'. NorCal Distance Clinic: Coaches, Now that cross country is almost over, I wanted to send out the information for the 4th annual NorCal Coach's Round Table that will take place once again at Crystal Springs Uplands School on Saturday, January 7th. Please see the link below for all the pertinent information. We are limiting this to the first 30 coaches that sign up so if you would like to attend please contact Chris Puppione at coachpup@gmail.com ASAP. SCVAL Post-Season Meeting: Coaches, This is a reminder that we will hold our post-season XC meeting on Monday - 11/28/11 @ 4:00pm - at Wilcox high school in their teacher's lounge. The door to the teacher's lounge opens into the parking lot in front of the school. 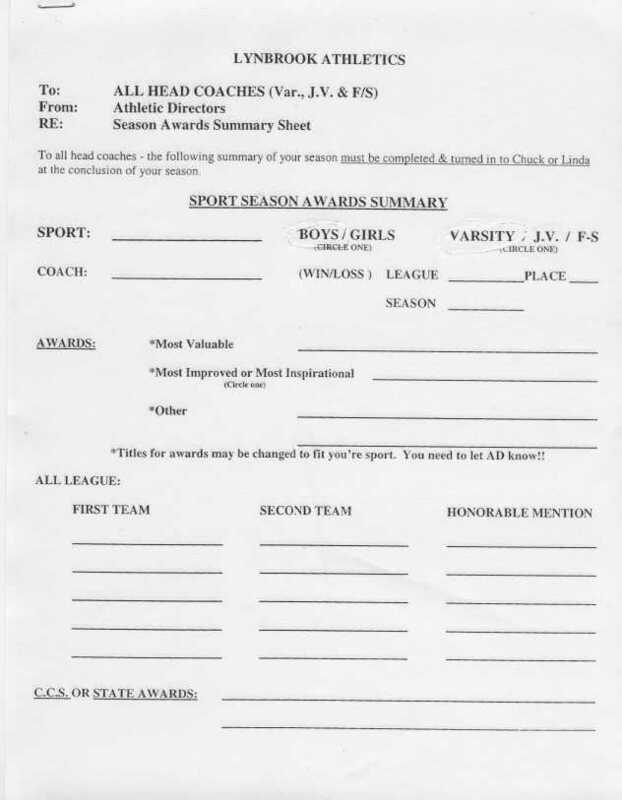 We will discuss the standard items that we discuss at all year-end meetings (2012 league finals, 2011 CCS Meet, 2011 State Meet, sites of 3 madatory league meets for 2012, nomination of honor coaches, voting for league reps, etc). If coaches have suggestions for other agenda items, please let Paul Armstrong or myself know. Walt Van Zant, Wilcox Coach. Top NorCal Teams: Based on Sections results (and if you trust the computer) here are the NorCal (NS,SJS,NCS,CCS,OAL,SF) rankings for teams. Top SoCal Teams: and the same for SoCal teams. 1971 NCAA XC Finals: Very old school - no "chip" timing here. Bob Wheeler was my coach at SDSU and he has since passed. Sarah Robinson (Gunn): Palo Alto Weekly Athlete of the Week - video. JC NorCal-XC: 40 seasons of JC NorCal History (thanks to Joe Mangan of CSM). Harker Coaches: Harker is looking for a distance and jumps coach for track and field this spring. You can contact them at paulnangle@gmail.com. Crystal Springs All-Time Lists: Lots of additions in 2011, especially from CCS Finals. Running Shots: Some fantastic running shots which will force you to waste time at work and look at them all. 1987 XC Season (video): Wow, West Valley JC really packed their guys in tight at those Championship races. 2nd Generation List: I just updated the Crystal Springs 2nd Generation list. Is there anyone out there that should be on the list but isn't? Kids - ask your mom or dad if they ever ran Crystal in HS or JC and if so, send me their data (along with yours) and I'll add everyone to the list. Augie Argabright: is retiring from coaching after 40+ years. Syracuse XC: What it takes to be a D1 runner in college. San Jose CC Throws Clinic: Cross Country is still going on but for 80% of our teams, it's time to think TRACK. Here's a local Throws Clinic. Lynbrook & Monta Vista Track Construction : Want to see what they will look like? Click here for Lynbrook. Click here for Monta Vista. Claire O�Connell (Gunn), Martina de Gues & Tanya Morimoto (Mtn View) : also run for MIT and took 4th, 6th & 10th at the NEWMAC XC Championships. Cindy Huang (MIT/Lynbrook): Where are they now? Cindy took 17th at the NEWMAC XC Championships. Mary Kriege (SCU/Mitty): Where are they now? Nice interview with freshman Mary Kreige. Octoberfest 5K: in downtown Campbell continues to grow - 499 registered runners this year - and "chip" timing was added - fun stuff. Jason James, Silver Creek: High School is looking for a Sprint/Hurdle coach. If interested, please call Jason James at 408-347-5662. Youth Running Seminar @ Monta Vista HS: Nov 7th from 6-8 pm, come check it out. Clinic Flyer. Forrest Jamieson: Great history read. Some consider him the Father of XC in the Bay Area. He started the National Postal meets. He was my coach when I was an 8th grader and I heard his "Newspaper Story" once while on a run on the not yet opened 280 freeway back in '69 (yes, I'm that old). Crystal Springs Schedule: Coaches- Due to the incoming inclement weather, Crystal Springs Cross Country Course will be closed tomorrow. Wednesday, October 5th. We have a scheduled meet for Thursday and then the large Serra Invitational on Saturday. This will help to insure that the course is in the best shape for these competitions. Finally, as previously posted. If you plan on holding practice at the Crystal Springs Cross Country course, please take note of this years competition schedule. On the days of a scheduled meet, the course is CLOSED FOR ANY FORMAL OR INFORMAL PRACTICE. Thanks for your consideration of this policy. We had one school travel a great distance to practice on the course. Only to be turned around. Due to a previously scheduled competition. Bob Rush, Joe Mangan, College of San Mateo, Crystal Springs Cross Country Coordinators. 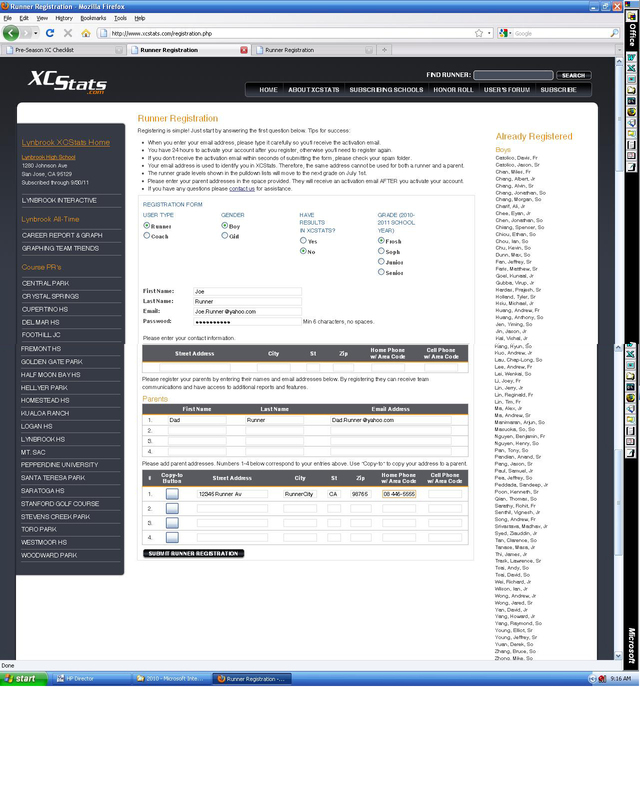 Kirk Flatow email: Monta Vista track & field is looking for a sprint coach and a high jump coach for the 2012 season. We have a great group of kids and coaches, and by 2013 we should have a brand new track! Check us out on mvrunning.com (mostly XC this time of year). If interested, please contact Kirk Flatow. Monta Vista Cross Country: senior Pearl Law makes most of offseason trip to Tanzania. Central Park Invite: Lady Vikes win while the guys take a hard earned 3rd behind ranked teams. Meet pix here. Usain Bolt at MSAC: the fastest human on the planet and the FASTEST person in the history of the world will be at Mt. SAC next Tuesday, September 27th from 11 am until 12:30 pm. He will be on the track in the Mt SAC Track Stadium for a track clinic, meet and greet and photo op. There is no charge for this once in a lifetime event. Ray Wright email: OFFER (free) - Two women's size steeple barriers. If you want them, call Ray Wright at 408-887-0777 or email him (on the left). Get them soon for Lynbrook is finally starting work on their track and they need these barriers to go. Crystal Springs Schedule: Coaches- If you plan on holding practice at the Crystal Springs Cross Country course, please take note of this years competition schedule. On the days of a scheduled meet, the course is CLOSED FOR ANY FORMAL OR INFORMAL PRACTICE. Thanks for your consideration of this policy. Bob Rush, Joe Mangan, College of San Mateo, Crystal Springs Cross Country Coordinators. Ryan Hall (Stanford): Great interview by David Kiefer... every runner can learn something from this interview, my favorites: "When I was finally able to relax, and learn how to train with people, that's when I started to be successful." and "Now, when I'm out there running, I'm not afraid to fail because I've failed so much, and I know I can deal with that." OLIVER! : As promised, here is another shameless, self promotion of a show that I am doing. 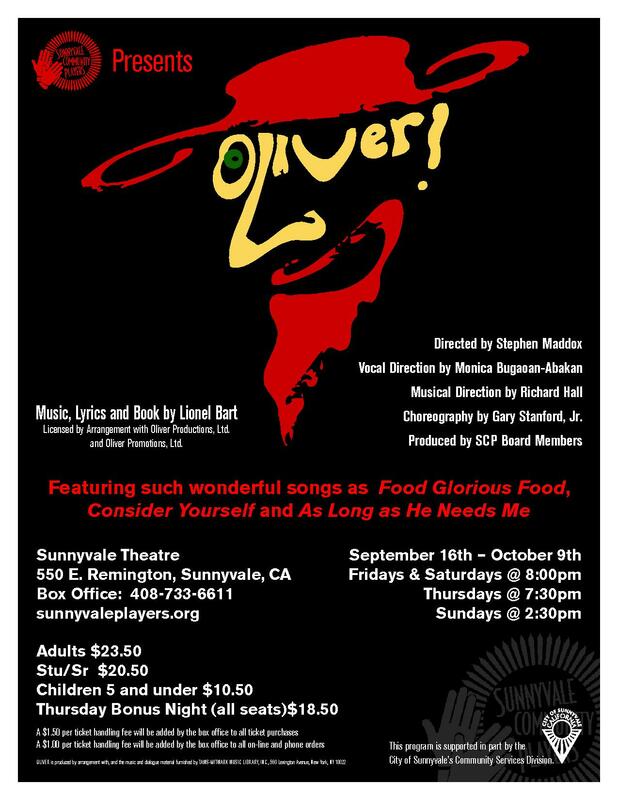 "Oliver" (I play Mr Bumble) opens this Friday (9/16) at Sunnyvale Community Theater and plays 4 weekends. SCVAL Coaches: Pre-season coaches meeting on Sept 6th (Tue) at 5:30pm at Wilcox HS. USATF Bios: From Steve Nelson (MP) on CCS athletes at World Championships. Go to this site. in the upper right hand corner (search ) put in, Jeneba Tarmoh, Maggie Vessy, Shannon Robery. Each profile will come up. '77 NCAA Western Regionals: - if you look close, you'll see some CCS runners, NCAA Champs and a couple of World Record holders in this race. '78 JC NorCal 1500: Scroll down to see who all these JC runners are and what HS they went to (and to fill in the blanks). And some more fun from '78 JC State 1500. Crystal Springs Schedule: Check it out to see who is running when on the Crystal course. New rules/procedures as well so read The Newsletter. The Crystal Springs Handbook can be found here. 77 XC JC All-Conference Team: Scroll down to see who all these JC All-Conference runners are and what HS they went to (and to fill in the blanks). Dammit Run results: Race was won by Weston Strum, Richard Ho 2nd, Kevin Bishop 3rd. Amie Wu (Lynbrook '97) took 2nd in the women's race. Dammit Run Pictures. LA84 Foundation: XC Clinic #3 (Aug 20th). Agenda #3. Craig Benson @ Mercy: Mercy High School, San Francisco is looking for an assistant cross country coach for the upcoming season. Stipend available. Please contact head coach Craig Benson at coachbenson@mercytrackandfield.com. Camp Photos: Bay Area Running Camp. Results of LGAC's: The Los Gatos Summer All-Comer Meets. Results 08-04. Some LGAC pictures. CCS All-Time Top 100 Track Marks: FINALLY FINISHED! I have just completed the remaining four track events (100, 200, 110h/100h & 4x100) and now need your help. Take a look at the lists and if you can fill in any of the blanks (name, grade, meet) or if a mark is missing for an athlete, let me know. In fact if you have the time (XC hasn't started yet) look at all the lists so I can get them as accurate as possible - enjoy. 1st Annual EarthQuake Invite: Hollister High School is proud to announce the inaugural Earthquake Invitation on October 1st 2011. The course layout is brand new and crosses the San Andreas Fault finishing in famous Haybaler Stadium. Unique to this Invite is that the Top 15 finishers in the varsity divisions will be awarded top finisher patches for their letterman jackets. For more information email Jess Morales at moralesj@sbcglobal.net. USCAA Nationals: A combined team from SCVAL & CSU San Marcos won the 34th Annual Corporate Nationals over the weekend held in San Ramon. It has been 4 years since Team SCVAL has won the Corporate title. Bay Area Sports Stars (BASS): Stats junkies - you're going to love this site. It has all of your high school's top athletes, any sport, even the ones you didn't know about - very cool. Pick your County and start reading. Amol Saxena: HJ Camp with former WR holder Dwight Stones - Contact Amol for more information. Marisa Beck (SHP): Sacred Heart Prep in Atherton. We are looking for an additional assistant cross country coach this season. Interested people can contact me at mbeck@shschools.org. Bay Area Running Camp: New Local Running Camp to Begin in 2011. The Bay Area Running Camp will be held August 1-5 from 8am-12pm in Portola Valley. Early Bird registration, team discounts, and some individual financial assistance is available. REGISTRATION INCLUDES A PAIR OF NEW BALANCE SHOES. Dina Oakland (Mitty): Archbishop Mitty High school is looking to fill one assistant cross country position for the 2011 season. Stipend is available. Please contact Dina Oakland at doakland@mitty.com if interested. LA84 Foundation: XC Clinic #2. Agenda. Sound Of Music: Ahh yes, time for another shameless shelf promotion - I'm in another show! 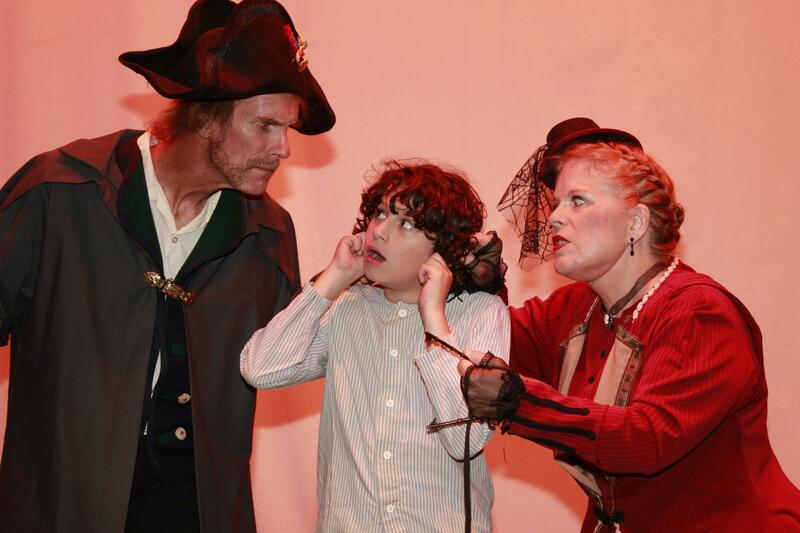 It's been two years since I last stepped on stage and this time I get to play an Austrian partier, the Pope and a Nazi. Opens June 25th, plays 5 weekends. CCS Top 100: Congratulations to the following 79 individuals/teams that made it on to the CCS Top 100 All-Time list. Top 100 updates have been completed (still working on 4x1, 100/110H, 100 & 200). Athletes Of the Year: San Jose Mercury News publishes the Santa Clara County Track Athletes Of the Year. Tammie Marshall: Valley Christian HS: is looking for assistant coaches for 2012 track season to coach hurdles, high jump and assist in other areas. If interested, please contact Head Coach Tammie Marshall via email at tmarshall@vcs.net. CCS Girls gain State Team Entries: Looks like D2 & D4 girls now send 4 teams to State for CCS. Thanks to those CCS teams for the past 4 years that have made this a reality, now lets keep those spots. NorCal XC Clinic-June 18th: Speakers: Bill Gregg of Davis Senior High School, Walt Lange of Jesuit High School, Evan Smith of Mountain View High School, Chuck Woolridge of Campolindo High School. RSVP by June 10th with shoe size and preference between neutral or stability shoes. Cost: $35 gets you shoes and lunch and a great chance to listen to some of the best coaches inNorthern California and find out how they get their teams to compete and win at the state level. (bring check or cash to the clinic, make checks payable to SRV Cross Country). You must be at the clinic to get your shoes. If you questions contact Tim Hunter at thunter@srvhs.org. At San Ramon Valley HS. LA84 Foundation: XC Clinics this summer. Agenda. Open Space Application: Coaches: If you plan on running your teams at either Rancho San Antonio or Fremont Older, beware. You need to have a permit or you may be cited. Print off attached application and FAX in - there is NO COST for the permit. Lynbrook HS example. 2011 Track: Still looking for 2011 Track results (GWI, NON,...).